After a busy work week, what one most wants is to rest during the weekend. This means working as little as possible in the kitchen! But since you still have to eat, we’ll teach you a few easy-to-make, delicious, light, and nutritious meals. The weekend will fly by while you enjoy your favorite activities. You can make a big batch of guacamole — because who doesn’t like guac? — and serve it with nacho chips. If you want something more substantial, you can add different ingredients to your guac and spread it on sandwiches, including chicken, bacon, or sundried tomatoes. 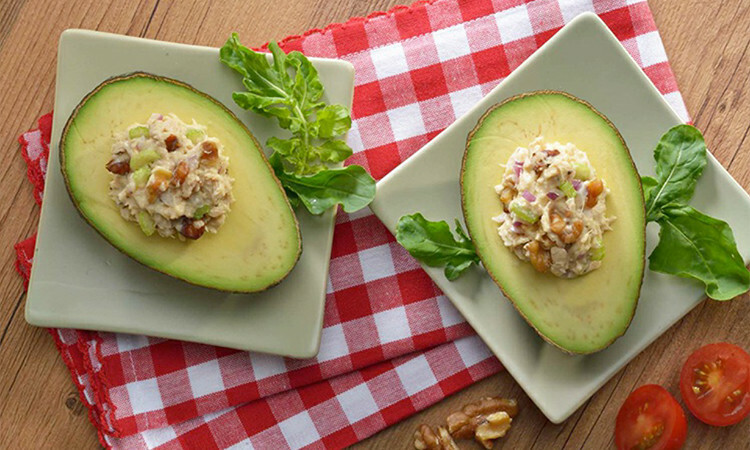 For a light but delicious lunch or dinner, whip up some avocados stuffed with tuna. Cut two ripe avocados in half and remove the flesh with a spoon, taking care not to damage the shell. Cut the flesh into small cubes and drizzle them with lemon juice. Chop a small onion and mix it with 1 tablespoon of chopped fresh cilantro, 1 tablespoon of mayonnaise, and two cans of tuna, shredding the tuna with a fork. Add the avocado, salt and pepper, and spoon it back into the avocado shells. Serve with a green salad. Breakfast is the most important meal of the day and weekends shouldn’t be an exception. That’s why avocado toast is an excellent option. Simply spread some avocado slices on top of toast and season with salt and pepper to taste. You can add Cayenne pepper for a bit of a kick or smoked paprika for a smoky flavor. If you’ve got a busy day ahead, top the toast off with a scrambled egg. If you’ve got some leftover cooked chicken, you can make delicious kabobs with chicken and avocado. Alternate cubes of chicken, fresh peaches, kiwi, and avocado on a kabob stick. Mix mustard, lemon juice, olive oil, chopped almonds, and salt and pepper to make a vinaigrette. Serve the kabobs on a green salad, drizzled with the vinaigrette. If a plate of pasta sounds more like what you’re craving, try this spaghetti with an avocado and spinach sauce. Cook the pasta according to the package instructions. Meanwhile, place the following ingredients in a blender: 1 cup of spinach leaves, 1/4 cup of white means, 1/4 cup of basil, 2 tablespoons of olive oil, 2 teaspoons of lemon zest, 1 tablespoon of lemon juice, 2 garlic cloves, a little bit of salt, and the flesh of 1 ripe avocado. If your sauce is too thick, add some cooking water from the pasta until you achieve the consistency you prefer. Upon serving, garnish with toasted almonds.